My pal and frequent collaborator Charlie Orr has been making a splash on the internet lately with his new blog The Hypothetical Library, where he designs covers for books by real authors that will never exist. 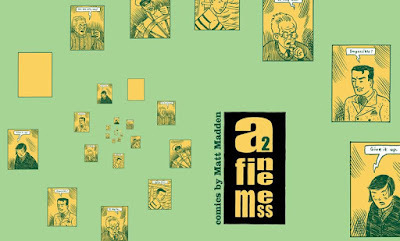 This week he is also guest-blogging about book design over at the Best American Poetry blog. 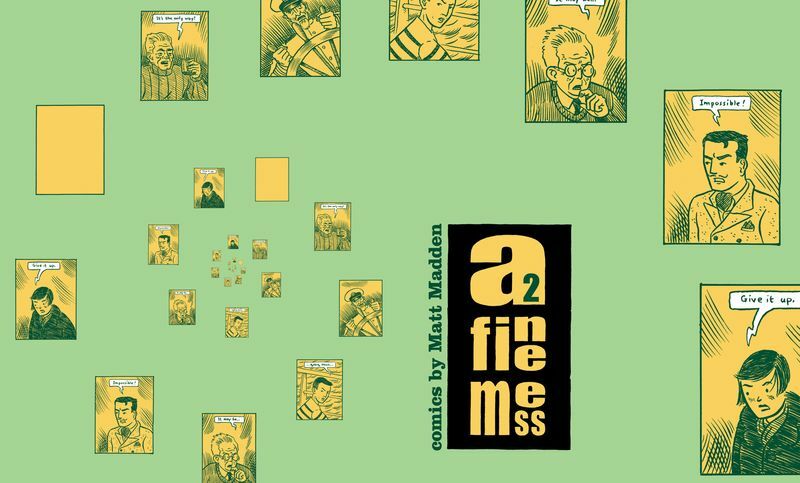 One of his posts is about our numerous collaborations on my comics, such as A Fine Mess #2, above. Read the post here.